When everything feels like it’s spinning out of control I think about being in survival mode. 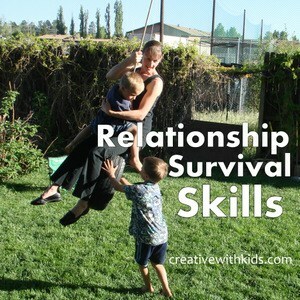 The top priority is the survival of my relationship with my child. I believe my connection with my kids is of paramount importance. When I find myself in a parenting situation where I have no clue what to do, I think I should err on the side of preserving my connection with my kids. This might mean I don’t do exactly the right thing, but if it’s the thing that keeps me from hitting, shaming or screaming, it’s going to have to suffice for the moment. The next thing to do is to move on and start looking for a better way to handle the situation from this point forward. We tend to try to help our kids with their surroundings and food choices and forget that the affect us as well. By noticing what makes us more edgy we can make choices that will help us stay centered. I use humor to diffuse tense kid situations. Yes, sometimes I have to fake it, but really, my kids cannot hear me if they are crying, scared or upset. We might as well find a way to tone it down and THEN handle whatever was causing the friction. Sometimes it doesn’t work and sometimes I forget to do this when it would work, but it lightens everyone’s mood including mine when it does, so it’s worth trying. Just get silly and see what happens. Note- beware of the difference between being silly and making fun of your child. I think you can feel inside when you’ve moved into not respecting their feelings – that’s mean humor and not what we’re going for, of course. I take notice of what I’m visualizing. I went through a time where ear-piercing-death-harpy-screams (you know that one that makes your brain rattle in your skull?) those screams would have me visualizing knives in my head. This did nothing to help cool my temper. Finally I came up with an alternate visualization that helped me disconnect a little bit so I could deal with the situation with some modicum of sanity and avoid flying into a rage because I can’t make the screaming stop. I prioritize sleep and good nutrition for myself. I’ve got to be realistic about the fact that I am living a very busy and intense portion of my life. I need to be ready to meet that challenge. I am tempted to put myself last, but too often I have found myself having adult temper tantrums because I haven’t taken care of my own needs. 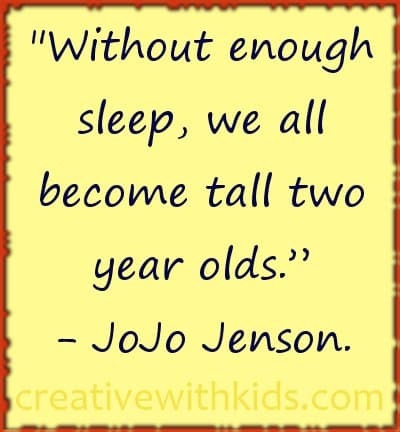 I am doing my kids no favors if I only look at their needs and then bite their heads off later when I’m completely worn out. Relax and allow yourself to just watch a movie together. Counseling can help you notice unhealthy relationship patterns, sometimes carried over from previous generations. Focus on noticing the parts of your day that you’re grateful for. I think so many of us struggle with the same problems, but we each struggle in silence, worried that we are the only ones. Each of us pretends to be okay because we think everyone else is okay. There is so much freedom, healing, and support that comes when someone is willing to make herself vulnerable. Vulnerability can be scary and uncomfortable; whether it is back tracking to apologize to your child, going to a counselor or calling a friend and asking for advice, it feels shaky, and perhaps like we’re admitting failure. However, some of the most beautiful moments in our lives come out of vulnerability, because that’s when the walls are down and we can foster real connection and real growth. Have courage to take whatever step you need to grow. What an amazing example you are setting for your children when they see you taking care of yourself this way. You are doing such good work. I’m honored to have you reading here. Have you got more ideas to share? We’d love to read them in the comments. I have found that curbing a child’s really bad behavior (like a no good day ALL day) with a special thing can sort *reset* everything. Sometimes Those very bad days are the best days for eating dinner in front of a favorite show or a trip to the park in the evening. 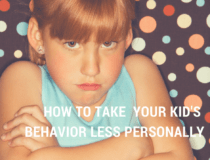 It is not meant to reinforce bad behavior it is sort of, “I know you are having a terrible day, let me see if I can make it better.” Then I can use the special thing as leverage for good behavior later, too! I love your way of describing that, Ashley. We all have bad days sometimes and isn’t it helpful when people around us can give us some forgiveness and help us move on? I just found your blog today via Pinterest. I am crying in relief that I am not the only one. Thank you so much for being so forthright about a painful topic. Also, it is very validating to hear that too many different noises put you over the edge. I am just the same and have never heard anyone understand it. Yeah, the noise thing is a little tough with three kids 🙂 As an aside to that, one thing that helps is to make sure to take enough magnesium, it helps with auditory sensitivity. But overall, I still am never going to love lots of noises all at once. Best wishes to you. You’re not alone in struggling with this. We’re growing together. woah magnesium does that??? no wonder when im frazzled out from random shrieking my daughter does i want chocolate.. she randomly shrieks on urpose just to annoy me i swear!!! ill be in the bathroom and she will come in close the door and keep doing it over and over and over no matter what i say or do only thing that stops her is to push her out the door and shut it quickly hold the knob and lock it and put in earplugs then all that does is make absolutely sure she pounds and pounds and POUNDS until i come out.. and no its not a baby or toddler she is 5!!!!! ugh! i literally had a headache for a week and a half straight because she refused to stop! she does it in the house in the car in stores and shes a typical 5 year old altho id say shes more mature except for that. her father is right in the other room too and we have atiny apartment she can literally see him from the bathroom door so its not like shes sitting alone waiting for me to go out. im about to tear my hair out! its so bad sometimes that i notice its 5pm and i still have my earplugs in fromt e night before! Thanks for the tip about the magnesium. When I had been taking my cal-mag I did notice I was more tolerant of noise. 3 kids and more noises than I care for some days, I tell them “you can make all the noise you want, just not in the room I am in”. They usually take their sounds elsewhere because they are given the opportunity to choose to be quiet near me or go be noisy somewhere else. Sometimes they quiet down and sit with me. Both are great! I have the same problem with too much noise/sound. Many times the radio is on in the kitchen, tv is on in the living room and then the Kids start yelling… OH MY!!! I just turn off the tv and radio and that does the trick sometimes :). I have to say, hearing others mention the auditory sensitivity issue makes me breathe a BIG sigh of relief. I am completely the same, and probably the one thing guaranteed to tip me right over the edge is NOISE! Sometimes I feel as though I am going nuts as everyone else in the house is convinced its “not that loud” but I am almost in tears from all the sounds…. I am fine to deal with a child crying or laughing noisily… but once you add in whining, screaming, toy noise, tv, radio, computer games, the entire family talking at once its too much. I finally gave myself permission to accept that its just one of those things that are a trigger for me and I need to find methods to deal with it. I now keep the “noisy toys” packed away to be brought out on days I can cope with it, I keep earplugs nearby in case the tv is bothering me (I can kick the kids off the tv, but I can’t kick my partner off! :P) and if in desperate need, I have my mp3 player loaded with soothing music that relaxes me – if I need to I will go to a different room and give myself 5-10mins to get away from all the incoming stimuli. I am going to look into the magnesium connection now that others have brought it up 🙂 hopefully that helps. Eye opener. Thank you. Its so true. Being screamed at in my childhood by my mentally ill, drug abusing mother, carried right on over to me. It’s not to the degree that I was subjected to and I battled drugs years ago and won, but I lose my temper way more than I would care to admit. It makes me so sad to know that I may be setting my young children up for the same emotional distress that I still deal with to this day, despite me trying my hardest to protect them. I do not want to carry on the hurt and guilt from 3 generations past of emotional instability. It’s definitely been a battle my whole life, but your posts have actually pushed me to look into help from the ‘outside’. Wow, I am humbled by your words. It really takes strength to take action like that. Thanks so much for your comment. I have the noise-sensitivity problem, too. My husband will have the TV on while he and the kids Skype with his parents, with the same conversation echoing on speakerphone on a 2-second delay. I just want to poke out my eardrums. Do you have any theories as to why we, as moms, put ourselves last? It seems to be a universal problem. BTW–please write a “Part 3”! Many times we lose it because our kids lose it first. Try to see them and yourself through a screaming/disobeying crisis, no matter how draining and mentally exhausting it is(like putting a child into bed 50 times in 20 minutes). Consistency helps them to understand you’ll not give in/up on them and empower you tremendously! Alissa this is such a wonderful series, thank you so much for writing it! 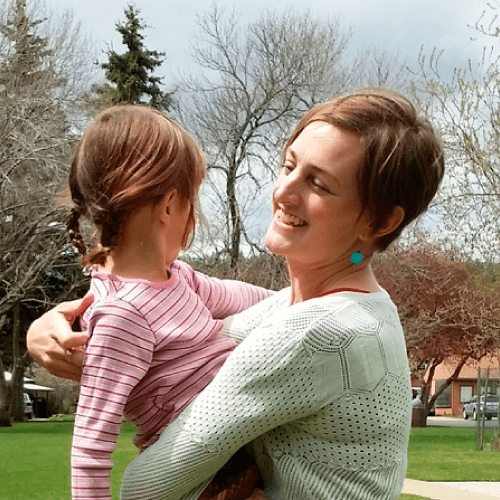 This became a big problem for me early on in my parenting and after my second child was born and I had completed a year of nursing I finally admitted to myself that I was depressed. When I went to my doctor I opened up further to admit that I had moments of rage with my little ones. He prescribed an antidepressant that was formulated to regulate this. Thank goodness! I was able get through my days without the anger and enjoy this all to brief time. Sometimes you need more and it’s okay. Dee, my guess is that it is probably Zoloft, which is what my doctor also prescribed for anger from post-partum depression. It really does help. Thanks for a wonderful series. Dee, When I have bouts of depression, I take st John’s wart. It is natural, and I can stop as soon as I feel I have myself under control again. I haven’t noticed any side effects like prescription anti depressants. I also take it with maca root, which is an endocrine stimulator. I’m not a doc, so of coarse, don’t just go by what I say, but know you have natural options that may be less harmful to your body. Large doses (6-8 gel caps/day) of high-quality fish oil or fermented cod liver oil (1 tablespoon or more-some days I wish I could drink the whole bottle) help me feel FANTASTIC. No lethargy, a positive attitude, and a full patience bank. Even my husband who only sees me two hours per day (the strong man works 68 hours per week) notices if I slack on taking it. Alissa, These two posts are important ones. I think they must apply to every parent, or at least I assume every parent must at some time get more angry than seems to make sense to them. I know I do. I find it strange that one of my children–whom I love very much–triggers more anger in me than anyone else in my whole life experience. It must be part of the lessons I signed up to learn when I became a parent. I have to accept that I’m not as laid-back and calm as I have believed myself to be my whole life up until now. If I don’t accept that statement to be true, I cannot change to do better with my son in a lasting way. It is too easy to blame him and his challenges for my inability to handle him well. We are doing much better now that I’m seven years into my life with my son, and I lose it much less frequently. However, it still happens more than I want it to. Thanks for the tips–they will come in handy. Especially the take-away thought that is most applicable to me–that I’m not necessarily “giving in” in being more flexible. I sometimes try to power through things with Henry using my stubbornness. And, go figure, he is stubborn, too. 🙂 I wonder where that came from. I don’t know if you’ll even see this, but having just found this section of this website and being in need of help–your comment gave me chills, because it reflects so accurately what I’m feeling. I don’t recognize this angry version of myself, and I don’t understand why my “easier” child is the one that triggers the crazier responses from me. Conversations like these help me to get past the shame enough to start thinking about what to DO about it. The most effective thing for me to fix a bad and/or getting worse parenting situation is to stop as soon as my internal voice starts saying, “Crystal, do you hear yourself? I can’t believe you’re freaking out like this over something as simple as [whatever it is]. Is this really that big of a deal?”–or even thoughts like, “I’m LOSING IT!! I can’t take this anymore! !” The moment that sets in, I stop, sit down (on the floor if need be), shut down, and then apologize. Sometimes this doesn’t set in until the fire in my brain has died down a bit, but no matter when you notice yourself and your bad behavior, just STOP whatever you’re doing and turn off. Think of it as spinning yourself around to face a better direction–you don’t have to start going in that better direction immediately, but you can quit the bad path you’re currently going down. Apologizing to my kids, explaining to them that I’m frustrated or tired or sad or whatever makes us all feel better. After that, we chill out, we have our separate time outs, we move on. I take note of how much better I feel for being honest, for trying to save the relationship, for cutting myself some slack. After doing this often enough, you start stopping yourself sooner–you start hearing your warning voice before you do something you’ll really regret. Sometimes I hear it before my children even realize I’m losing my cool. Sometimes I still lose it! Don’t get me wrong! Yesterday our AC was out all day, I’m 8 months pregnant, and my children were being particularly horrid . . . I lost it big time when it was dinner/bedtime. The next DAY I talked to my kids about it, and we were still able to move on from it. It’s never to late to correct the bad behavior. Sometimes we don’t fix it out of guilt or maybe even if we feel justified, but it does so much more damage to the relationship that way. Beautifully said, Crystal. Your image of turning around to face a better direction EVEN if I don’t start going that direction quite yet is very powerful for me; I know that will help the next time I reach my limits. Love this advice–thank you, Crystal! Thanks so much Kat. Glad they helped you. I really like to learn on how to deal with parenting rage. I think that being placed in a situation that made you rage is truly hard. I think that it really requires you a lot of patience and understanding to solve all the problem you encountered. i’m in awe of your honestly and vulnerability in this post. there is so so so much that just speaks to my heart. Thank Andie, I hope I can continue to write about this topic and ones like it. It feels like there’s a lot to talk about. In conjunction with breathing, I can react in a healthier way. I think being aware of your triggers is SO important. I am learning that now. We take care to avoid things that trigger meltdowns, we can do that for ourselves as well. I have 3 children, one of which has special needs. It’s easy to get angry and I also snap when there is sensory overload. 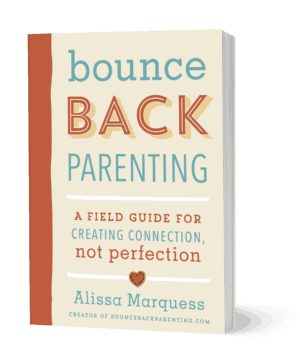 I’ve read books on how to be a better mom, thinking I was a bad mom for sometimes breaking. I’ve researched how to have healthier relationships thinking my kids are going to hate me when they grow up because of the times I have broke down and snapped. I have to tell you……This made me cry when I read “Soften your face, soften your heart.” I know I’ve been dealing with the rage in the wrong way, but when I read that, it was like a light bulb went off in my head. I imagined what my face looks like when I’m mad, and how my heart feels for not only my children but myself during an anger episode. I’m sure from now on that anytime I get mad, I will say this to myself and know that I need to take a deep breath and react differently than I normally would. I’ve never thought about it like this…. what I look like and that my heart is temporarily “darkened,” if you will. I don’t want my kids to see a hardened angry face, but a loving one. Nor do I want them to see a hardened heart…. I’m mommy. I want them to see mommy. I don’t care if it is the mommy that is being firm or the mommy that is upset because of behavior. But, the mommy that is darkened with rage in her heart and her face…. I can’t do that. I’m so glad I read this…. I’m so glad I’m not alone. And again, thank you so much for finally giving me the one thing, one simple, small thought that I will use over and over to help me find my calm spot. Thank you. All I can say is .. Thank You.. I’m not alone.. and reading your article gives me a sense of peace with the turmoil that stirs inside me, when this sometimes happens. The guilt and sense of ” I have let her down” .. that it’s ok to be human.. and that my choices to sit with my daughter and let her know that she is loved is MUCH more important then having a clean kitchen.. Thank you so much for this series. I honestly did not know that I had a temper until my son became a toddler. It is terrifying for me to lose control like that, I get so angry so fast and usually over such stupid stuff– is it really important? No. While too much noise does set me off (my son is a constant talker, screacher) for me the big trigger is purposeful messes (which is hilarious cause I am in no way a “neat” person). But I realize I feel that since becoming a Mom my life revolves cleaning up mess after mess and when I turn around to find he’s (3 1/2 years) finished eating yogurt and has decided to splash it up and down the table, over chairs, on the floor– oh, I just lost it. And after I lost my temper and yelled and felt bad I just feel so stupid– he needed a bath anyways and seriously it took like 3 minutes to clean up the mess. Was it really that big a deal? 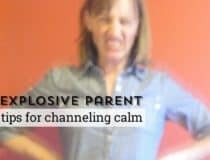 Anyhow, I appreciate reading about how other parents are dealing with their rage monsters– both their rage and their kids rage. Thank you. I just found this series today via pinterest. It could not have come at a better time. Two days ago I literally broke down. With a 3 1/2 year and a 2 month old, things are hard right now. I was trying to fold laundry, my 3 year old was knocking it all down and unfolding it all and started screaming in my face when I asked her to stop. I popped her in the mouth, not hard enough to leave a mark Or anything close, but it got her attention. I immediately started crying like a baby and after a few minutes of calming down apologized. Her response? “it’s okay mommy, it was my fault.”. So as if I didn’t feel bad enough already, I started crying again and feeling like a seriously terrible mom and person. I asked my husband if I was abusing our child. He says no, but I feel like I did. I completely lost control. These posts let me know that I am not the only one going through this. Thank you. I remember popping my daughter in the face for biting me when she was two. It was a knee jerk reaction. She never bit me again and I’ll never, ever forget how horrible I felt directly afterwards. Then there’s the time when I had bags and bags of groceries I was carrying and pushed my daughter with my knee up the stairs because she was taking too long and we had just went through a stressful grocery store trip. She fell, and hit her chin on the step and started screaming You Pushed Me! And I held her and told her I was sorry. Actually, my first reaction was to deny it. Which is horrible. We all learn how to be the best parents we can be in this civilized society by practice, (gained wisdom) not instinctively, as we would if we were in tribe and wild human beings. I can’t begin to tell you how much these two articles have touched me. I’m 22 and have a two and a half year old, a 7month old and a good husband that made a bad decision, in prison and it goes without saying that I’m stressed to the max. I’ve noticed when I reach my limit I yell and will even cuss and it just kills me. I love my children with all my heart and soul. My son is all boy and ornery and full of energy and sometimes I just can’t handle it. This article let me know I’m not alone and has given me invaluable advice. Thank you so much! I think that realizing your trigger is the biggest stop in trying to keep your cool. Sound doesn’t bother me. I can tune it all out. Sometimes I tune it to well that I don’t hear you talking to me. However if I have a To do list a mile long and I feel it waying on me. Then I begin mulitasking 5 things at a time plus the list in the back of my head plus the fussy toddler then I have to walk away. That works best for me. Usually I can pray in my room for a bit or I have sat on the bathroom floor and shut the door to find the calm. Possibly if you don’t believe in prayer you could sit and just close your eyse for a second until you can feel your heart beat level. This works for me. Finding the thing that works and trying to use it when it gets tense. I struggle with defusing it before hand. I don’t recognize its coming. Then I end up sitting in my room. Finding that thing is the key. 🙂 Thanks for posting this issue. Thank you for your post . We all need to talk about this more. Talking has made all the difference for my 7 year old son and my self. One night after a very bad day I calmed down enough to apologise to him. It lead to a conversation about the anger on both sides and how it hurts us. I told him how much I wanted control my anger and change. He said he didn’t want to get angry either. We made a deal to talk each other about how we did at bed time. It helps to know I made him a promise and we will be talking about it that night. Also on our good days we recognize the accomplishment daily and encourage each other. I am not perfect but we are getting better all the time. I literally started crying when i finished reading all these posts. I have been having such an incredibly difficult time with my 3 year old son for about 7 months (since my daughter was born). I feel like I am angry with him so much. I have absolutely no patience-it’s lile someone took it away, it just evaporated. I yell, I’ve screamed, i’ve roughly picked him up and plopped him in his room. I am feeling so at a loss on how to deal with him latley and so disappointed and shocked at my lack of control. I grew up with a father that would just ‘hit the roof’ with my brothers and I and I remember being so fearful of him. We were scared to make him angry. I vowed I would NEVER be like that with my children and I feel i have become him. My son is so empathetic and sensitive to our moods, and when i see him ‘being angry’ i almost want to cry. I love my children more than anything in the world and I have been feeling so guilty and horrible for my temper and reactions to him. I have had moments where I don’t even want to be around him. Reading all your posts made me realize I am not alone, and I am not the horrible mother that I have been feeling like lately. I am going to try some of these ideas and number one is to start taking care of me! I have recognized for awhile that I haven ‘t been, have been aware that it is creating problems with my relationship with my son but haven’t had the energy or ability to do something about it. I have to and it starts now. Today was horrible and while grazing on Pinterest to cool down I saw a link that said STOP Yelling. I had just yelled at one of my kids minutes before. We’d had one of those days that for me has built up wrong since this morning or possibly yesterday. It’s been so refreshing to read your posts regarding mommy tantrums.. I’m bookmarking them for future reference because I need to do some major reading. I’m a mom to five, 8wks, 2, 3, 6, and 8yos. We homeschool and it’s a Friday and I’m feeling like a major failure in all aspects. Just thank you for your heart and sharing theses posts. I too stumbled across this post on Pinterest. And I’m so thankful for all the honesty. At times dealing with my 2 yr old son I feel so cruel afterwards. It breaks my heart when I see the fear in his eyes when I’ve snapped and screamed at him. 95 % of the things he does are really no big deal. Just time consuming and frustrating because it seems like I’m having to clean or redo the same thing 20 times a day. I have felt so alone in this. I’m a stay at home mom and his dad works constantly so that I am able to stay home. So when my Husband IS home my son clings to him and won’t listen to me. The worst part of it all is that now I’m starting to see rage in my son. When he doesn’t want to do something or gets in trouble for something sometimes he screams in anger and his face turns red, his body is shaking. And I just cry because I’m afraid this is what he sees in me. I was not raised this way. I had a very passive mother. It makes me so ashamed of myself . Jessica….I feel like you are writing about me! Exactly. ..but I have a 5 year old daughter and my husband works a lot so I can stay home too. I feel such shame and fear for how this will affect my daughter. I always apologize but the damage has already been done. I have a hard time catching myself before it happens.Although these moments of anger have decreased, it is still a knee jerk reaction and makes me feel crazy and out of control. I feel my raging moments have scarred her tender soul for life and have such a hard time forgiving myself. Heartfelt thanks to everyone for sharing! Hugs to all. Im so grateful and appreciative for you posts. It feels so refreshing to know that I am not a lone and that there are a lot of us trying and striving to do better with such similar issues. It’s a confidence booster to know that my kids are not the only kids who can challenge your sanity to a death match sometimes…lol! So thank you! phew! me neither, I am not the only one. 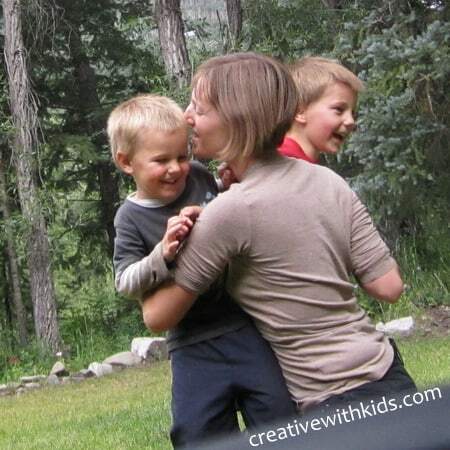 One tip I found that helped was that us mummies/mommies are our own biggest bullies. We are the ones that see what we don’t do or don’t do well enough or do wrong but we are not so good at looking for and noticing the kindnesses or the compassion or the great things we do for our children. I am trying (and bear in my mind I am a mummy so not alwasy succeeding) to look out for those moments and praise my parenting (not in a vain way) instead of putting me down all the time because actually I have a feeling that if I feel bad about my parenting then it is worse but if I can turn that around and feel good about it maybe it will be easier to do well. I still lose my temper but not so much and I am going to ‘soften my face, soften my heart’ that is beautiful, I too want my kids to see my not someone angry and scary. I have also learned, by actually listening to my husband, to stop or slow down if I am tired and/or unwell and take care of me because when I don’t everything goes a bit wrong. So, right now I have a horrible sore throat, temperature and all of my is owwwy. In my previous existence I would have rung in sick to work and gone to bed with lots of chocolate. I never felt at all bad about this. 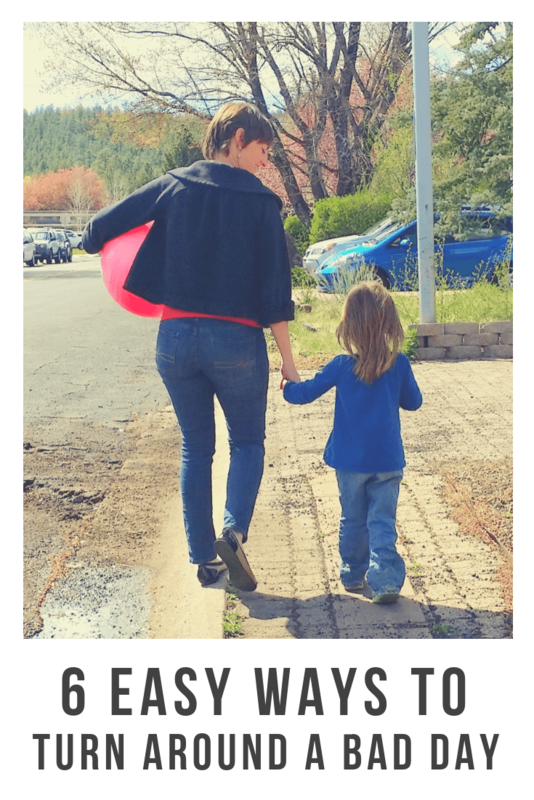 Since being a mummy, I have felt the need to carry on regardless until the bit where I can’t manage at all anymore and still feel guilty about it. But this time is different. This time I have called in sick. My husband is on shopping for easy to prepare food duty and making sandwiches for us during the day. He is also on laundry duty. Because I am in my bed. Resting, eating chocolate (for the noise tolerance…I know…nice try, right?) and being kind to myself. I have lining paper attached the the wall at the bottom of my bed for the kids to decorate with at table full of colours and crafty bits. I have some other easy things like play doh for when that gets tired. I am putting movies on for them and letting them play at their whim. I did a scavenger hunt with them where I just gave them a description of things I wanted to scare away the grouchy ghost and they loved it. Guess what, my pj’ed kids are loving it. They are free to wander around doing what they like, I am not moaning at them and they have spent way more time playing than watching movies, which is a surprise to me. I am revelling in it, I am being nice to myself and I actually find I like it and am tempted to pretend to not be recovered for about a month. I won’t really but… I am patting myself on the back because we are all happy and my husband is in his element being in charge and taking care of me and the kids. I vote we give ourselves a break and try to be kinder to ourselves and easier on ourselves. This is a work in progress and I don’t always remember yet but it is a start to face the right direction. Thank you so much for this post. I just assumed I was the worst parent, now I know better. These articles have been a balm to my soul. My BIGGEST shame and personal growth project at the moment is my parenting rage. I had tried another non-yelling blog but it made me feel so inadequate and a failure. You have really validated me and your vulnerability really really means so much to me. Knowing I am not the only one struggling with some of the less socially acceptable things that happen when one is swallowed by rage. Thank you so much. I have new hope and new ideas today. Onward and upward! I just found this website, and I think it was in the nick of time. I have a three year old and an 18 month old, and I am in this situation too. My patience with my oldest son – who was always my pride and joy, my little star – before his brother was born, seemed to have disappeared without a trace. I never wanted play favourites, but the baby seemed to helpless, and my then 21 month old seemed like he should know better. The days my husband had to be away for work overnight were hell, I couldn’t get through five minutes without yelling. I felt stressed and panicked. It must have confused and hurt my eldest so much, I feel sick just thinking about it. My youngest would never have known if I had taken five minutes and left him crying in a safe place (obviously with all of the obvious things catered to, like a full tummy and clean nappy!) to hug my eldest and make him feel good. But I fear my eldest does remember, and I feel terrible. I am not much better now, though the dynamic is different with a preschooler and a toddler. They play together some, and are a bit more independent. I am home with them, and they don’t go to preschool daycare, so I have them non-stop all day, every day. My only time out is to go to the gym twice a week (a recent thing, something for me). I still have at least one meltdown per day, sometimes my kids see me cry, I have spanked them (and I thought I would never, ever be a hitting mum), and while I stop short at personal put downs (I try really, really hard to always remember it is always the behaviour that is wrong, not the boy who is bad) I use language I really shouldn’t in front of my babies. And they are such good boys, so loving, so caring. They don’t deserve me freaking out over what is normal (if on the over-exuberant side) small boy behaviour. In fact, I must be making it worse by being so angry, I teach them it is ok to hit when you’re mad, and then they hit each other. I am ashamed at what I have become, and I have known for a time that I wasn’t coping, but haven’t known what to do about it. I am very pleased I am not alone, that I have found this forum, as I was reaching the end of my tether, and having moments when I just wanted them to go away and leave me alone. 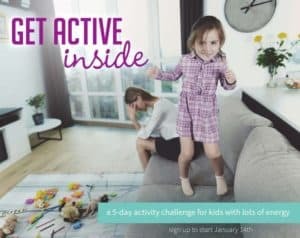 I am looking forward to exploring this site and finding useful ways to keep my limits in place, while not resorting to yelling and being too rough with my boys’ feelings. I love them both so much, they deserve me to be better. Thank you, to Alissa and all the commenters here. I am feeling quite emotional, still a bit anxious, but hopeful that I will be able to be better. I have to be better. I’m glad you found us and we welcome you to learn along with us how to stop yelling. So glad you’re here. Thank you all. I too would like to tone it down…before you have kids you say I would never hit, yell or curse in front of them. What have I done, I’ve turned into a monster. Cris – we’re all learning, and some days it’s easier than others. Wishing you well. Teresa – I identify with you so strongly. My kids are the same age as yours. Older boy 39 months & younger girl 21 months. My husband, while helpful, works shift work all over the place as well as every overtime he can pick up, & is often away from home as we have also just launch our own company. I feel exhausted and alone & never ever imagined that I would become the screaming banshee I have become. I don’t get it…I love my children more than anything! I have stumbled on this page and am reading and absorbing as much as I can. It is helping to know I am not alone. I don’t want to yell….I want to fix this this. I would highly recommend participating in some anger management classes. 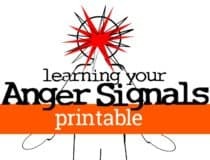 They give you the necessary tools and skills to better cope with your anger. Also, therapy can help a lot. But you need to choose wisely when it comes to selecting a good experienced therapist. Last but not least, I would recommend reading the book “Peaceful Parent, Happy Kids.” A true eye-opener; I had many “aha moments” while reading it! Practicing peaceful gentle parenting is an art that can be learned and put into practice in your daily life easier than you can imagine. It can even become a second nature. Wishing you all the best in this hectic adventure we have all embarked on, called “parenting,” with actually no point of return. This article and it’s comments have been so comforting. 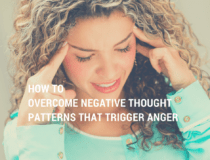 It’s very easy to think you are the only one who is dealing (badly) with a child who directs their anger at you and that you react back in the same manner. I am a recently single mum to a 4 year old who just loves to push the boundaries and I have lost it so many times with him because he won’t listen and just screams, bangs and tantrums if it’s not going his way. I love the suggestion of making a bad day a good one that someone made earlier in the comment thread and I will be definately trying it. I often wonder if we knew before what we know now would we have kids? I am happy to have found your posts. I would rather avoid the cliche of ‘good to hear I am not alone’ so I will say this is the one great thing about the internet. All the mother’s groups, playgroups, even friends… no one share what they really feel on a day to day basis. They are too busy posting how perfect their lives and kids are on Facebook. The reality is some of us, maybe more than we know really struggle with being a mother and a good one. I have found all your tips really great; have tried some myself and will continue to be a better Mom. Wow! I am so glad that my niece tagged me in your article. I come from a family of yellers and unfortunately I am doing it to my own kids. I hate it so much! I will cuss and on occasion hit a wall in anget. I have honestly said I was going to stop yelling at my kids so many times. Any suggestions? Chris Dungan read this, see I’m not crazy. Thank you for this article. I am looking into anger management classes for myself. We have 7 and 5 year old boys and a 5 month old baby boy. 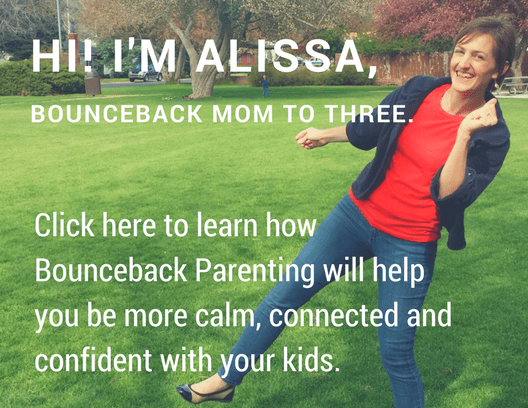 Since I got pregnant with my third, it is often that my patience has just disappeared. I get so upset with my kids because they just don’t seem to listen….and then I just lose it. 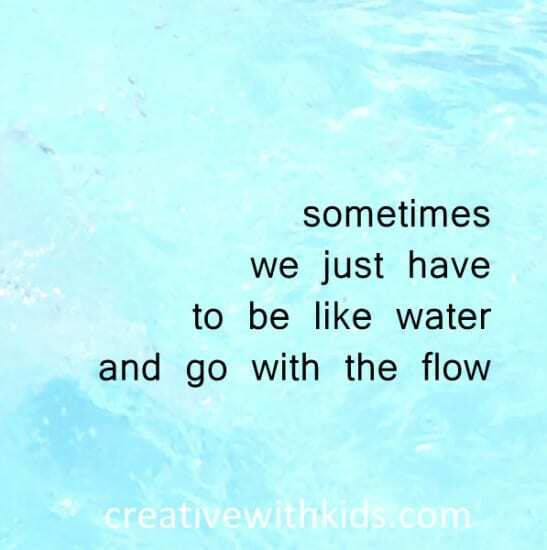 My 5 year old has been dealing with the brunt of it because he has a temper of his own, and it is hard not to get angry when your child is screaming at you and thinks you’re being unfair when you’re actually trying to help them. It reached a point where, I am ashamed to admit, I was accentuating my words by poking him with my finger. And having visions of hurting him in my head. So I said no this has to stop. I told him that Mommy was very wrong and that she should never ever do that, and how sorry I am, and I pinky promised him that I would never, ever do that again. And articles like this help me to keep that promise, so thank you. An old favorite. Thank you for reposting this. I am so glad I found this website. I have always dealt with anger, even before having my beautiful two girls. I have ruined relationships because of my anger and rage issues and I am terrified that my current issues will ruin my relationship between my fiancé and I. I honestly try so hard to keep myself under control. I don’t want my girls experiencing what I did during my childhood. My Grandfather has terrible rage issues, and I guess I just learn to deal with my emotions by completely exploding. I have never taken my anger out physically on my children. I just scream. I also break things, I throw things (like phones) and slam doors. I have holes in my walls and broken doors. Most of the time my children don’t witness my outbursts, but they hear it, and so does my Fiance. I feel so terrible about myself. I have gotten way better and most of the time I notice what I did right after words. The guilt is overwhelming and I am terrified of it effecting my children. I have actually gotten to the point that I notice what Im feeling during one of my outbursts and try to stop it but sometimes I just freak out. What is wrong with me?! The visualization that helps me most is snuggling with my kids,reading to them. I keep that in mind and my angry voice becomes softer. This is a great post and very, very comforting to find. I am glad I am not sure the only one dealing with the rage in issue. I am a sahd with the normal noise sensitivity thing, baggage of a yelling and anger from my parents, and potentially adhd (looking into the connection between adult adhd and anger from overstimulation with a doctor soon). On top of wanting to protect my kiddo from my family’s anger curse, I also feel the pressure of socialization that angry men become abusers which terrifies me. The dread that I will do harm when I loose my temper does nothing to help the situation, it merely increases my tension (don’t worry a counselor is coming into the picture and medication if need be, don’t like meds but anything to protect my kiddo from me failing to keep it together). So thank you for this post it really does help to know I am not alone in dealing with parenting rage. One of my triggers is dealing with kiddo pulling pets’ tails, chasing them, and needing to do other things (change diaper etc). In general this week is a case of to many things pulling at my attention (protecting animals, redirecting kiddo, dealing with screaming, teaching kiddo not to harm others, preventing chasing, preventing tantrum/pinching me etc) and feeling I have no escape. This situation led to an explosive outburst wherein I tried not to yell, failed, tried to reign it in, then tried to change poopy diaper of squirming/flailing/screaming kiddo, lost it and put a hole in dry wall. This crisis rocked it our family. kiddo seems to have weathered the best me the worst (worry about becoming abusive, worry about traumatizing kiddo, dredging up family baggage, leading to a little depression and anxiety). But it spurred me to try figure out what I need some outside help with and to seek help. The situational overload led me to consider adhd. I have learned that anger outbursts due to overstimulation and sensory overload are not uncommon with adhd. While I have not talked to a doctor yet about this, anyone dealing with noise overload might consider looking into the adult adhd connection and ways to cope with it (medication or nonmed).